The Voalte Messenger web client allows desk-based hospital staff to securely text message mobile Voalté One users from an easy-to-use interface. It helps improve communication, reduce overhead paging, and increase caregiver responsiveness. Communication is a key component to providing the best and most reliable patient care. This is especially true for desk-based hospital staff such as unit secretaries, administrators, ancillary departments and others who require fast, efficient communication with a large number of collaborators. Voalte Messenger features and capabilities are very similar to those of Voalte One for iPhone, but all on a desktop. Join a team that’s dedicated to improving healthcare communication. The heart of every unit. Connect mobile and stationary staff. A web client for desktop workers. 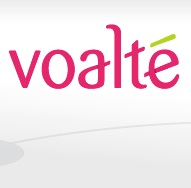 Voalte Messenger™ is a web-based client that gives Unit Secretaries, Pharmacists, Radiologists and others the power to exchange secure text messages with Voalte users from a desktop, laptop or workstation on wheels. Desk-based staff can communicate quickly and efficiently using the same secure texting capabilities that power mobile caregivers. View an entire unit by name, role, rooms or patients. See staffing, availability and status at a glance, and send text messages immediately, without referencing a whiteboard full of extension numbers. Send a group text message to all members of a unit, department or team, to everyone in a particular role, or to those assigned to a particular room or patient. Designated staff can send announcements to all Voalte users, rapidly communicating about critical events, such as a tornado warning. Desk-based staff can text too! Communicate with mobile caregivers using powerful texting features such as Quick Messages, photo attachments, priority messaging, group messages and more from a desktop, laptop or workstation on wheels. I love the ability to send texts to my team that are easy to type and read. In healthcare, seconds count, and being able to respond with only one word is priceless.